Large, flat open area required. Adult and kid sized balls available. Power not necessary, we can inflate using 12 Volt blowers. One of our staff must accompany this package. Staff cost is $35 plus GST per hour. 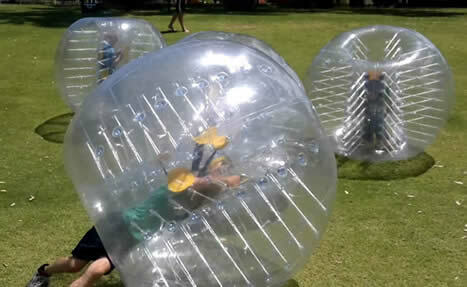 This zorb option is ideal for schools or private parties where you have your own supervision. One Active Games staff must be present for overall supervision. Hire our Giant Balls and have a large scale, five on five soccer game.